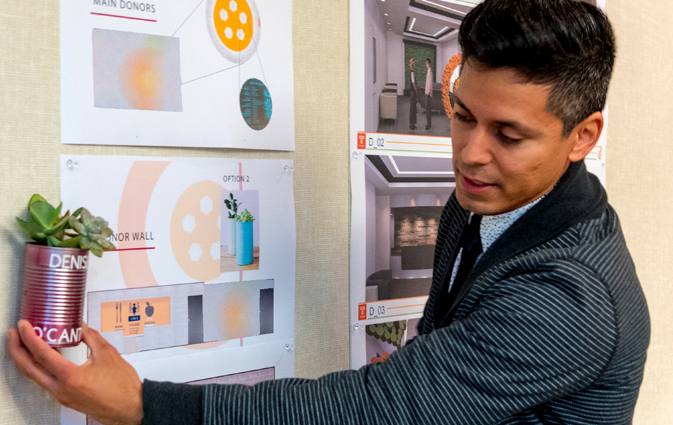 The Central California Community Food Bank sought an innovative design for a donor wall and lobby at their new facility. 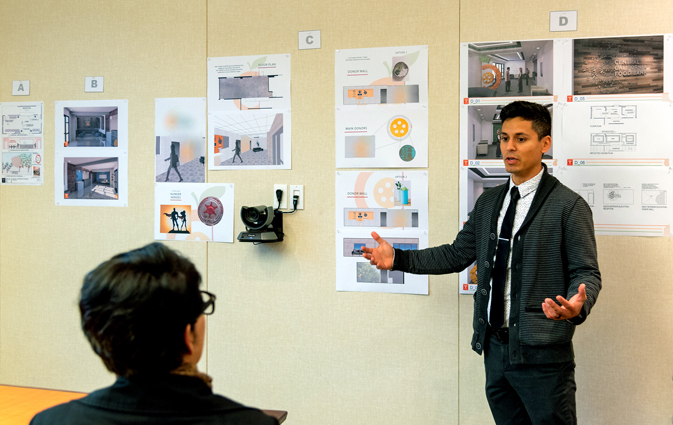 TETER fulfilled their vision for a unique, fresh design by facilitating an internal design competition among staff. 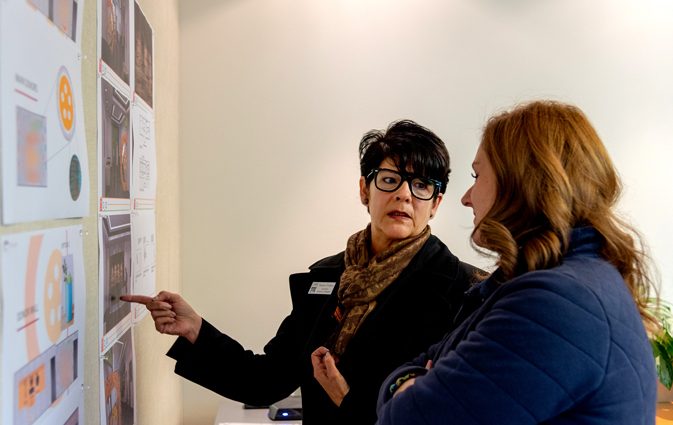 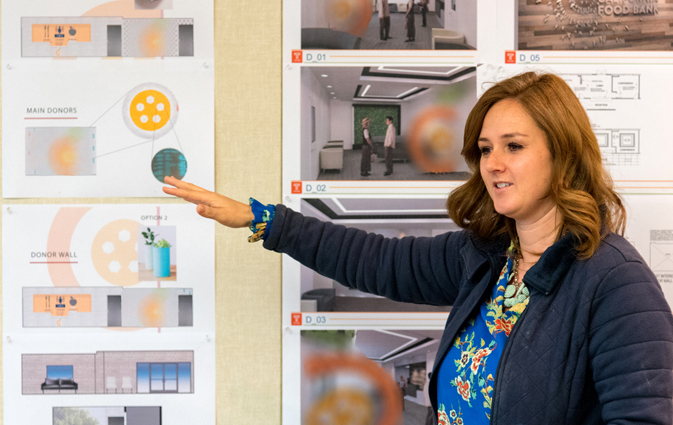 Kym Dildine, Chief Administrative Officer, and Denise O’Canto, Corporate Relations and Community Engagement Manager, judged the first round of design concepts at TETER. 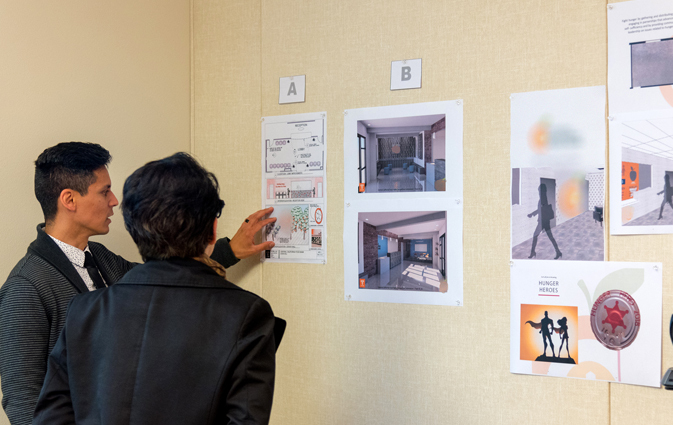 The top creative concepts will be presented to the Community Food Bank’s board and staff for a final selection. 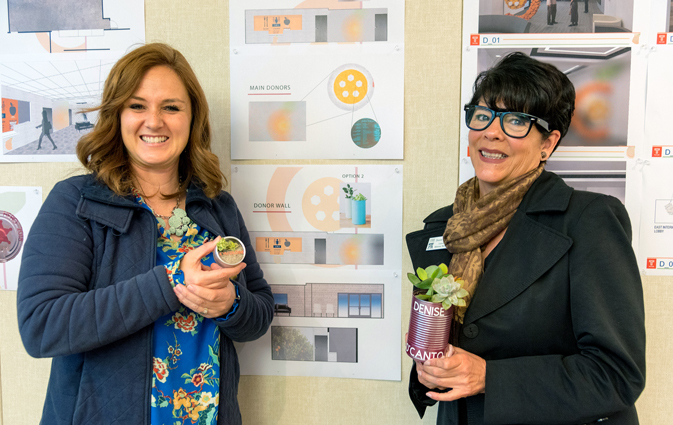 TETER is honored to support the Community Food Bank’s mission to end hunger in the central valley with our pro bono design services for their donor wall and lobby.